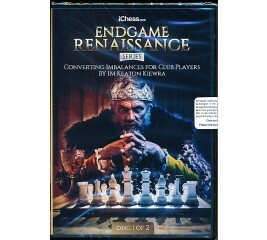 In this 6-hour chess endgame course, experienced coach Grandmaster Rashad Babaev trains you in the skills you need to successfully master the endgame. When you are serious about improving your endgame skills, it is time for GM Bryan Smith’s Middlegame to Endgame Transition Mastery. In this comprehensive 8-hour Deep Dive course, GM Damian Lemos builds up your knowledge of this powerful opening weapon, demonstrating how to combat each of Black’s main variations in turn. 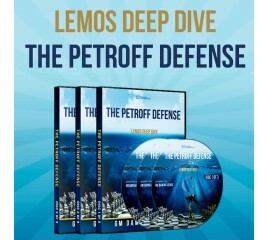 In this comprehensive 8 hour Deep Dive course, GM Damian Lemos builds up your knowledge of this powerful opening weapon, demonstrating how to combat each of the White sidelines and mainlines in turn As well as the recommended lines and tricky novelties, GM Lemos shows how these ideas play out in practice with analysis of instructive games, making sure you always know what to do next. 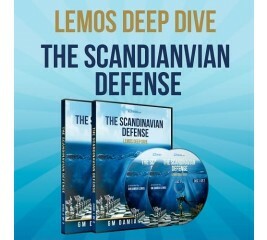 In this comprehensive 8-hour Deep Dive course, GM Damian Lemos builds up your knowledge of this powerful opening weapon, demonstrating how to combat each of White’s sidelines and mainlines in turn. Bill was the 2013 New England Co-Champion, Boylston Chess Club Champion 2002, finished 1st at the Foxwoods Open 2002, two-time New England Open Champion, and has defeated more than 20 IGM’s in tournament play. 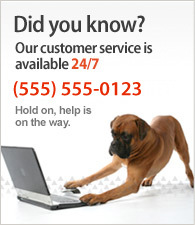 In this series Bill expertly examines a new idea in a main line. Theory starts now with this variation. First seen play in 2017. In this 5 hour course, experienced chess coach and 9-time Nebraska Champion IM Keaton Kiewra will train you in the skills needed for you to succeed in chess endgame strategy. These skills will also deepen your understanding and sharpen your technique in all phases of the game. 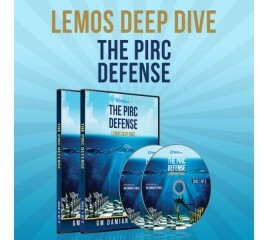 In this comprehensive 9 hour Deep Dive course, GM Damian Lemos builds up your knowledge on one of the most dynamic chess openings for Black, the Pirc Defense. Put your opponents on the defensive with a classic counter-attacking weapon against 1.e4, the Pirc Defense (1.e4 d6 2.d4 Nf6 3.Nc3 g6). In this 6 hour course, 2018 U.S. Women’s Chess Champion IM Nazi Paikidze trains you in the skills needed for success in the endgame. Instead of theoretical positions, this course focuses entirely on the type of positions you’re actually likely to encounter in real games. In the first of this two part DVD series, GM Simon Williams will guide you through an extremely aggressive repertoire based on 1 d4. Concentrating on gambits and sharp play, this opening has been Simon's weapon in becoming a Grandmaster. 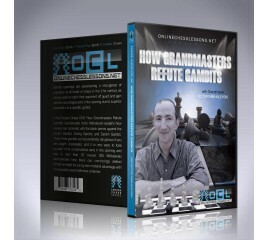 Learn his secrets and the secrets of a Grandmaster in this 7 hour DVD! 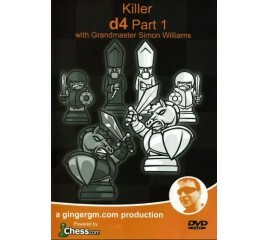 In the second DVD in this series, GM Williams takes a look at everything else that you need to know when playing 1 d4. The aim of the DVD is to teach things in a simple yet effective manner, where both club players and Grandmaster will be able to pick up something useful. In the host's opinion, aggressive, attacking chess is the key to success at Chess. 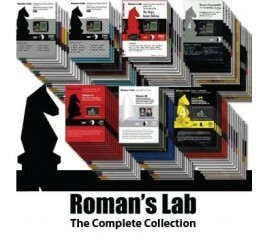 This repertoire helped GM Williams earn his Grandmaster title so there is no reason that it cannot do the same for you! This monumental video presents the viewer with the most important people and events that have comprised the world championship over the course of more than 150 years. 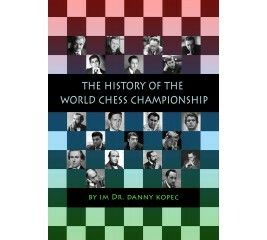 It covers 20 players who were able to lay claim to the title of Chess World Champion. The Queen's Gambit is one of the oldest known chess openings. In early modern chess, queen pawn openings were not in fashion, and the Queen's Gambit did not become common until the 1873 tournament in Vienna. As the appreciation for positional play increased and was developed by both Steinitz and Tarrasch the Queen's Gambit grew more popular. The Queen's Gambit is still frequently played and it remains an important part of many grandmasters opening repertoires. 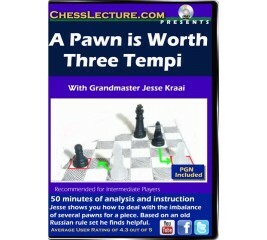 GM Jesse Kraai explains how to use the old Russian rule set to evaluate Tempo in chess. What is Tempi or Tempo in Chess? “The gaining or losing of time and effectiveness relative to one's continued mobility or developing position, especially with respect to the number of moves required to gain an objective: Black gained a tempo”. 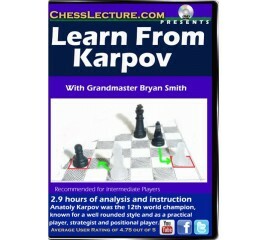 Examine the brilliance of Karpov with GM Bryan Smith. Anatoly Karpov was the 12th world champion, and is considered by many to be one of the greatest chess players of all time. Karpov is known for a well rounded style, and as a practical player, strategist and positional player. Is opening theory out of control? IM Bill Paschall takes us through a series of games where he used sound chess principals but stayed outside conventional opening methods. This confused his opponents and took them outside of their game. 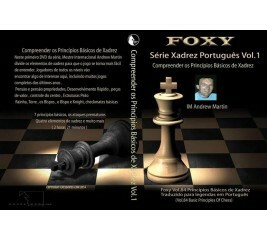 See his examples and learn how once you know the rules, you can break them and win! Grandmaster Damian Lemos’ excellent presentation skill guides you through this DVD which is 2/10 of The Club Player’s Manifesto produced by the World Leader in DVD instruction OnlineChessLessons.net. Grandmaster Damian Lemos’ excellent presentation skill guides you through this DVD which is 7/10 of The Club Player’s Manifesto produced by the World Leader in DVD instruction OnlineChessLessons.net. 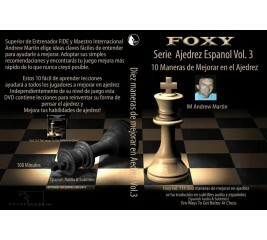 On this first DVD in the Train Yourself in Chess series, International Master Andrew Martin breaks down the elements of chess so that the game becomes easier to understand. Players of all levels will find something of interest here, including many complete games from recent years. 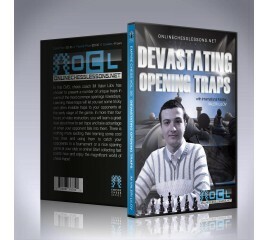 In this DVD, chess coach IM Valeri Lilov has chosen to present a number of unique traps in some of the most common openings nowadays. Learning these traps will let you set some tricky and often invisible traps to your opponents at the early stage of the game. Grandmaster Damian Lemos’ excellent presentation skill guides you through this DVD which is 5/10 of The Club Player’s Manifesto produced by the World Leader in DVD instruction OnlineChessLessons.net. 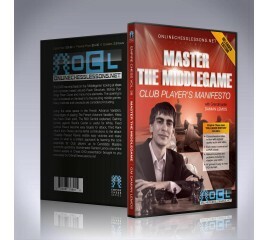 Grandmaster Damian Lemos’ excellent presentation skill guides you through this DVD which is 10/10 of The Club Player’s Manifesto produced by the World Leader in DVD instruction OnlineChessLessons.net. On This DVD Susan will teach you an exciting and dynamic easy to learn system to play The Colle- Zukertort. Susan brings you 20 years of her own experience with this opening which is perfect for the player who only wants to spend one tenth (1/10) the time it normally takes to master an opening. So if you are looking to avoid well known deeply analyzed main theoretical Opening lines and want to win games in and out of opening, the Colle-Zukertort System is for you. 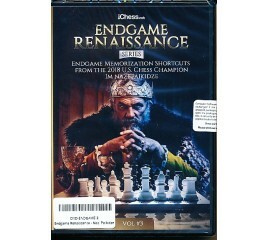 In the Empire Chess DVD ¨How Grandmasters Refute Gambits¨ Grandmaster Victor Mikhalevski explains how viewers can dominate with the black pieces against the Scotch Gambit, Goring Gambit, and Danish Gambit. 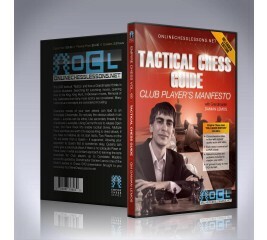 Grandmaster Damian Lemos’ excellent presentation skill guides you through this DVD which is 3/10 of The Club Player’s Manifesto produced by the World Leader in DVD instruction OnlineChessLessons.net. Grandmaster Damian Lemos’ excellent presentation skill guides you through this DVD which is 8/10 of The Club Player’s Manifesto produced by the World Leader in DVD instruction OnlineChessLessons.net. All the Basic tactical ideas are discussed fully, followed by a series of very recent illustrative games, where we will see all that ideas in action . 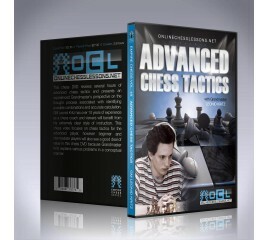 On this dvd you will gain confidence in your ability to handle tactics when they crop up over the board and who knows, you may be able to land some tactical knockouts yourself! IM David Vigorito analyzes the decisions in games of two masters. One master a world class GM and the other an IM and illustrates how a difference of two hundred points in ranking becomes exponential in terms of game play. 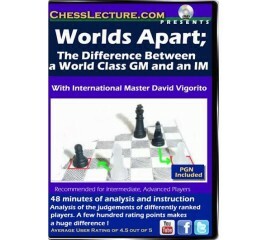 Grandmaster Damian Lemos’ excellent presentation skill guides you through this DVD which is 6/10 of The Club Player’s Manifesto produced by the World Leader in DVD instruction OnlineChessLessons.net. 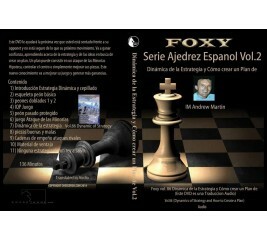 It is Essential to know how to play and win your Endgames. 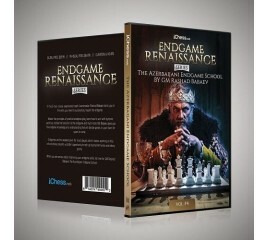 In fact, the Endgames are more essential to learn than Openings. 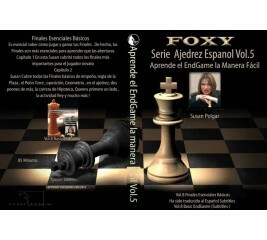 In Chapter 1 of this DVD, Susan will cover all the most important basic endgames for the novice player. 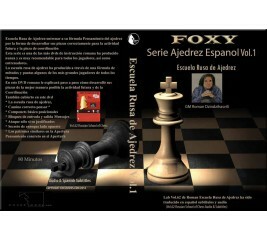 She will teach you how to checkmate a lone King using a Queen, a Rook, two Bishops, a Knight and Bishop, or two Knights. 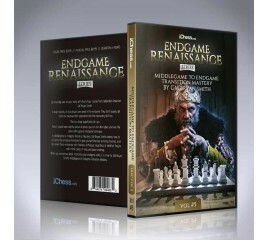 In Chapter 2, Susan covers all the Basic Pawn Endgames, including the Square Rule, the Rook Pawn, Opposition, Geometry in chess, two extra Pawns, the Pawn Race, one side Queens first, King activity, and lots more! 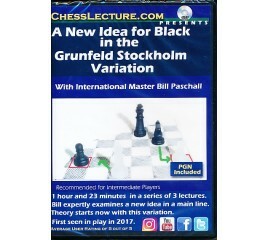 This chess DVD reviews several hours of advanced chess tactics and presents an experienced Grandmaster’s perspective on the thought process associated with identifying possible combinations and accurate calculation. 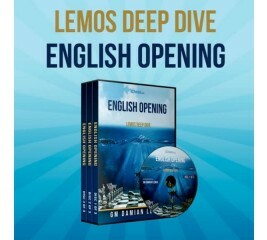 Grandmaster Damian Lemos’ excellent presentation skill guides you through this DVD which is 4/10 of The Club Player’s Manifesto produced by the World Leader in DVD instruction OnlineChessLessons.net.